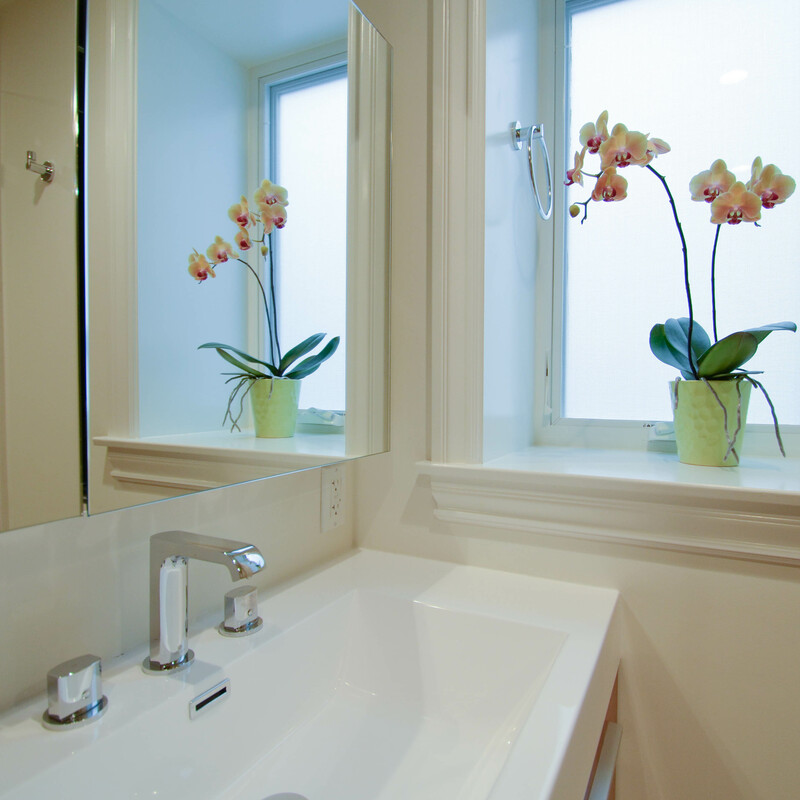 415 Remodeling, Inc. updated both the master bathroom and guest bathroom in a Sunset District home. 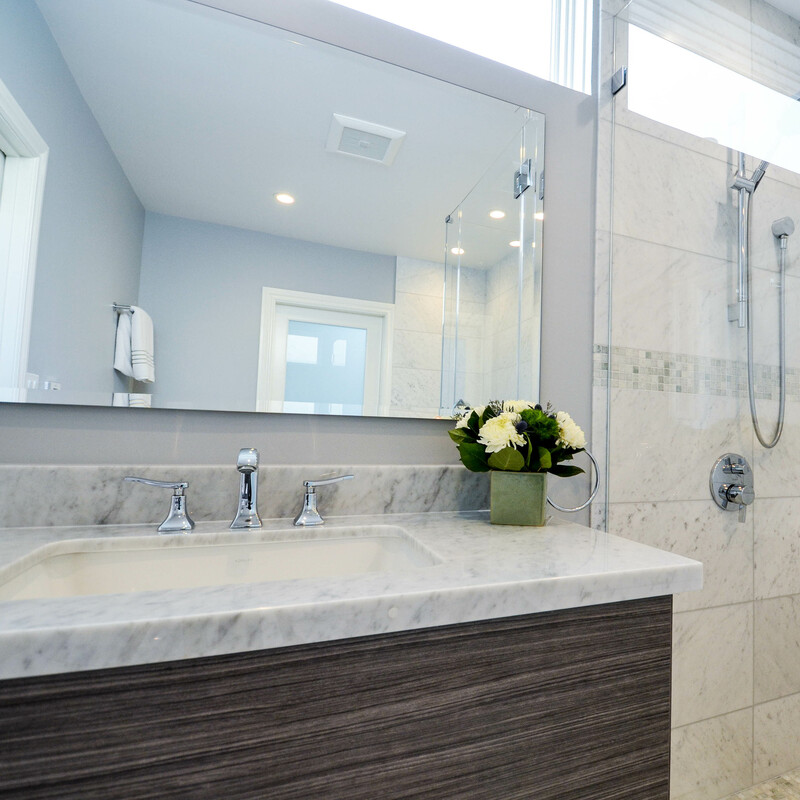 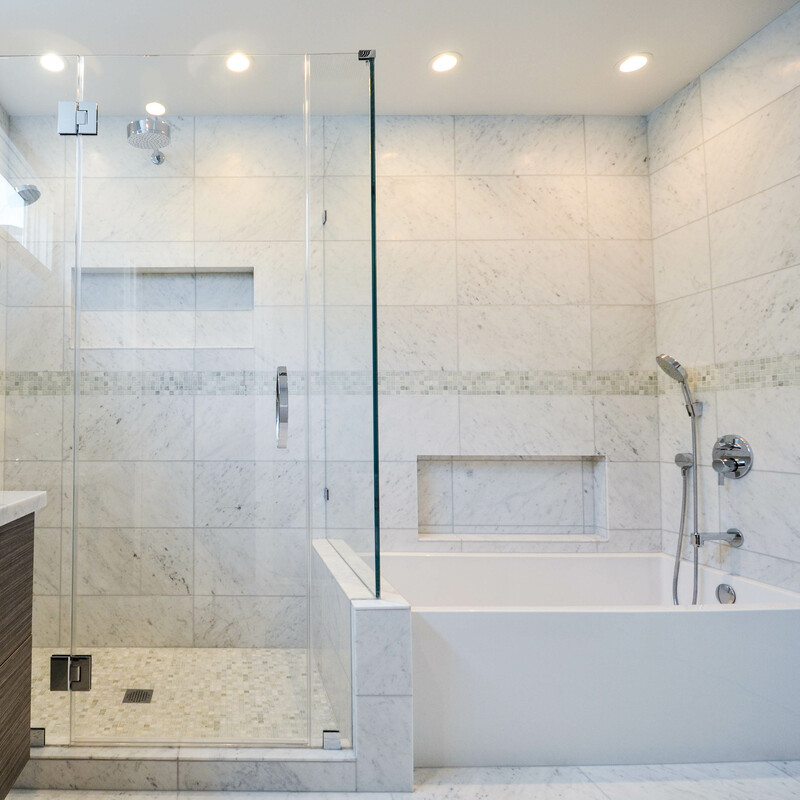 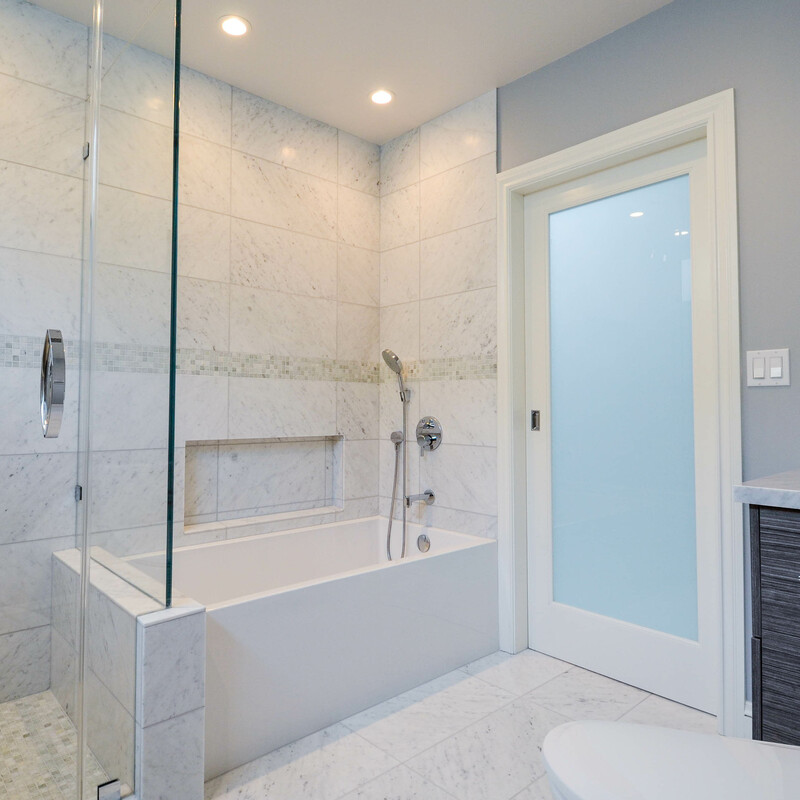 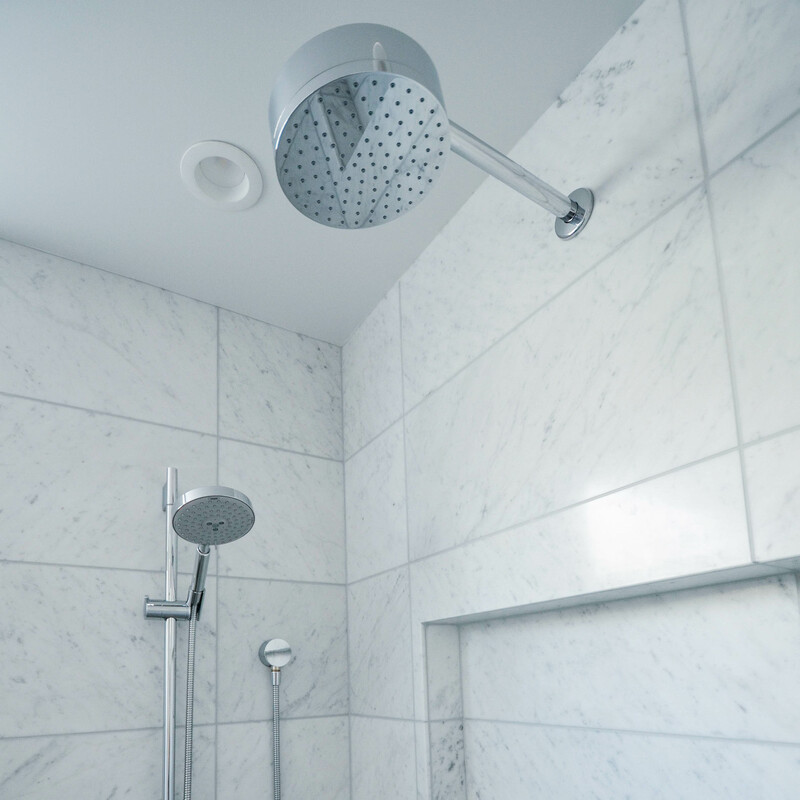 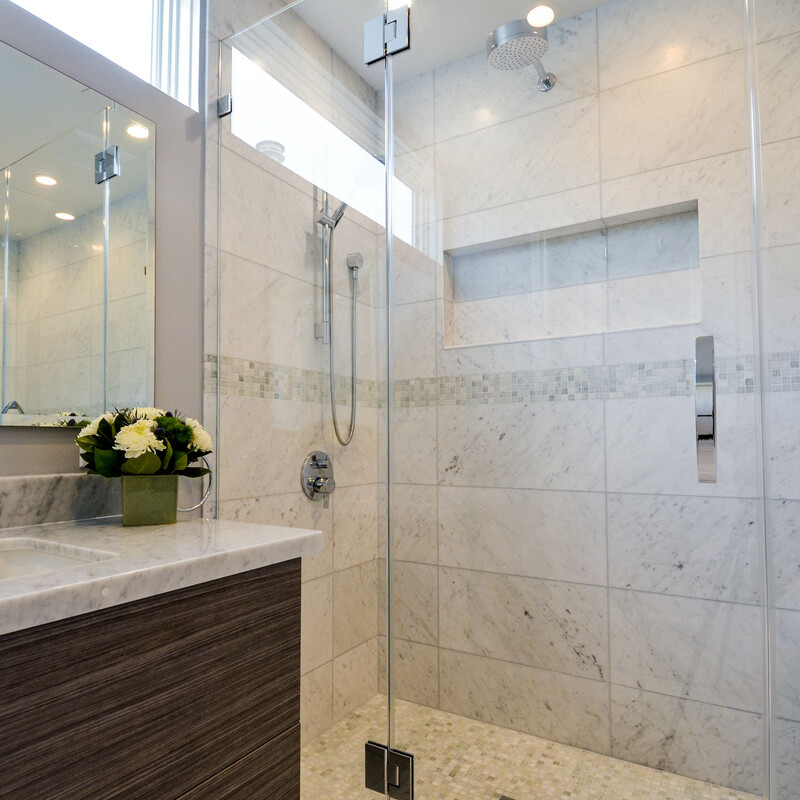 The master bathroom features a separate expansive rain head shower and a large clerestory window for added light. 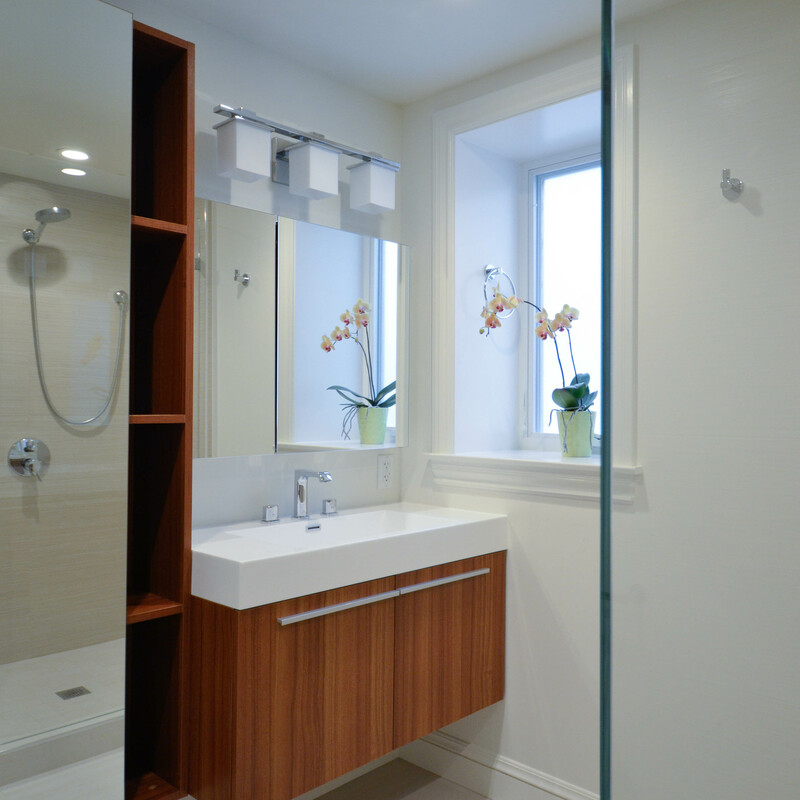 The guest bathroom features a wall-hung vanity and storage creating an open feel with additional floor space. 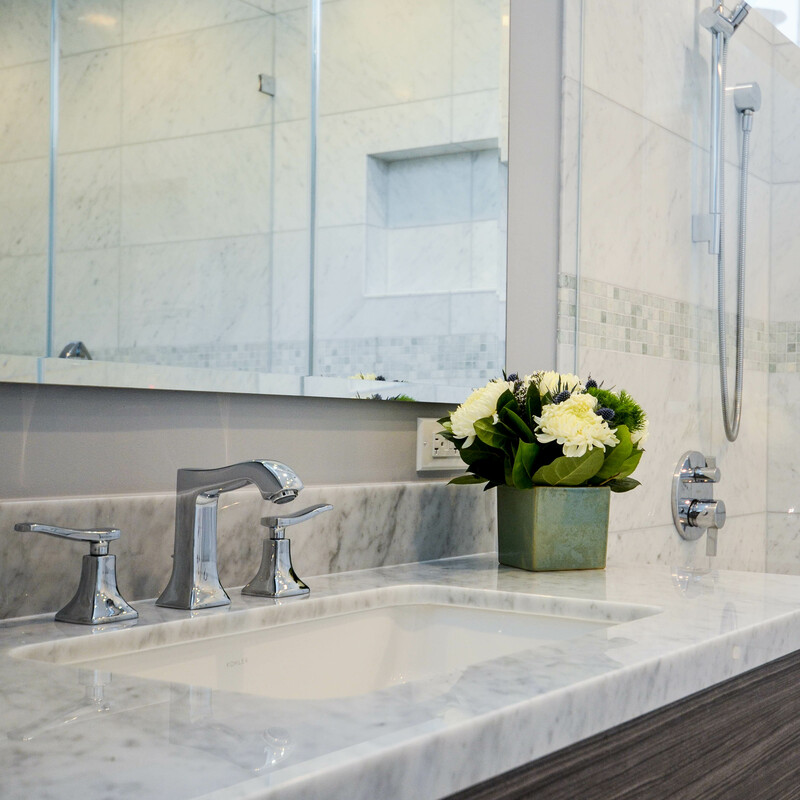 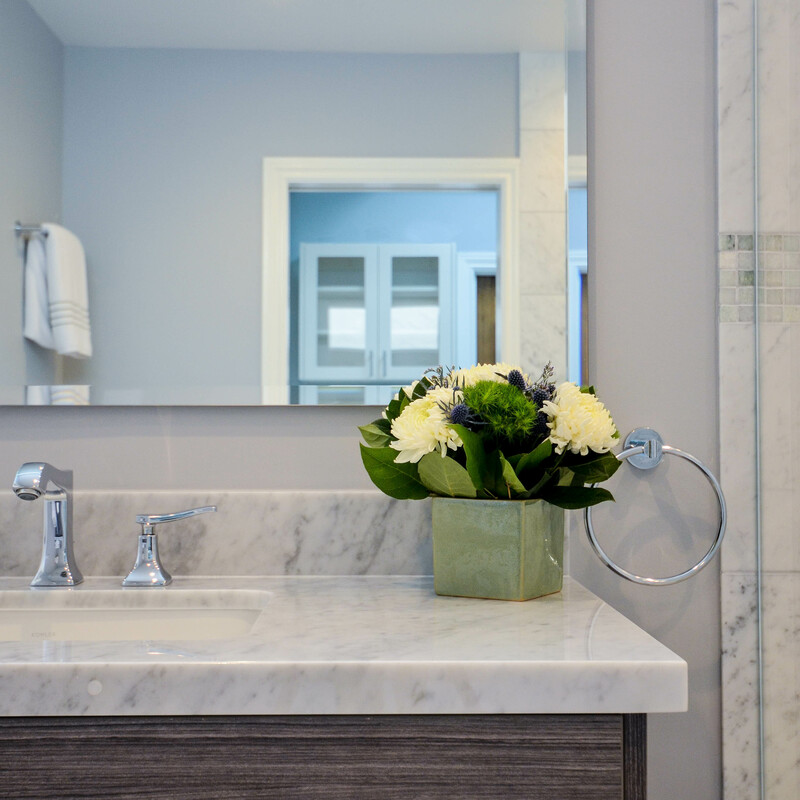 Both bathrooms feature sleek modern finishes and fixtures.